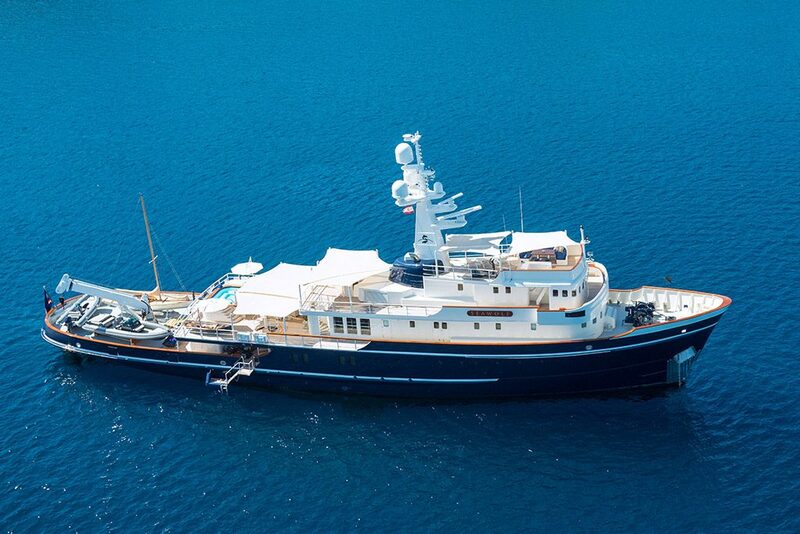 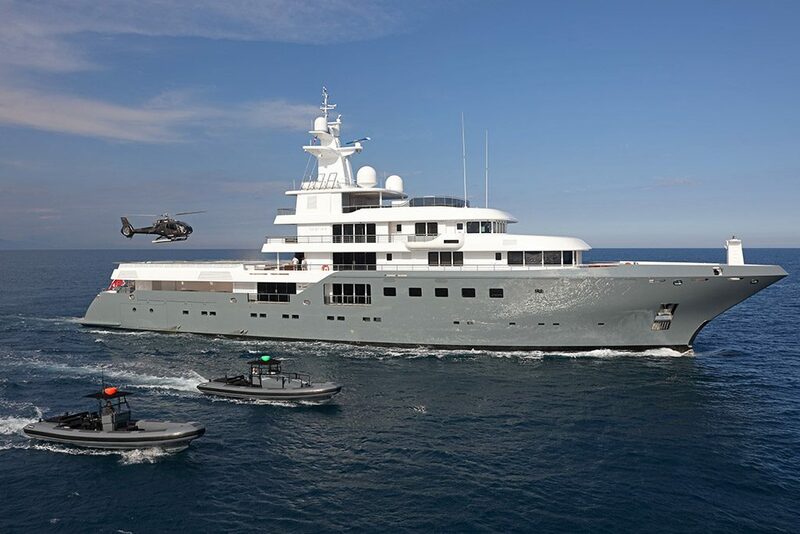 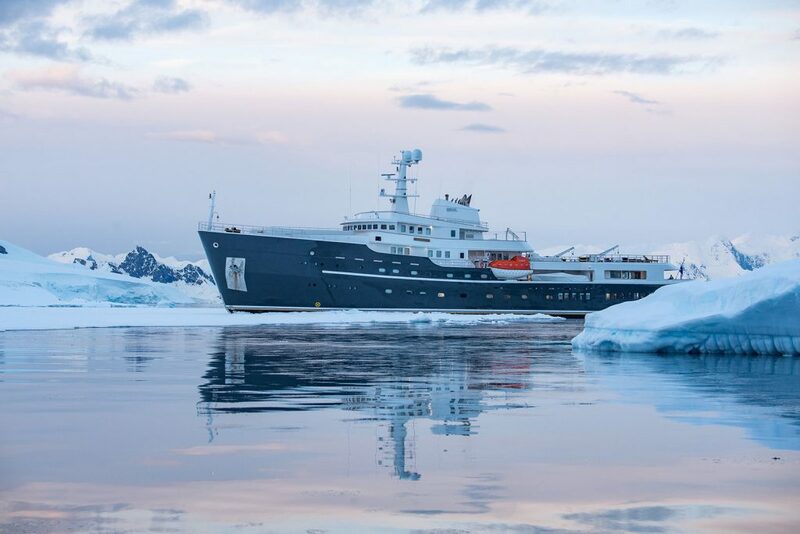 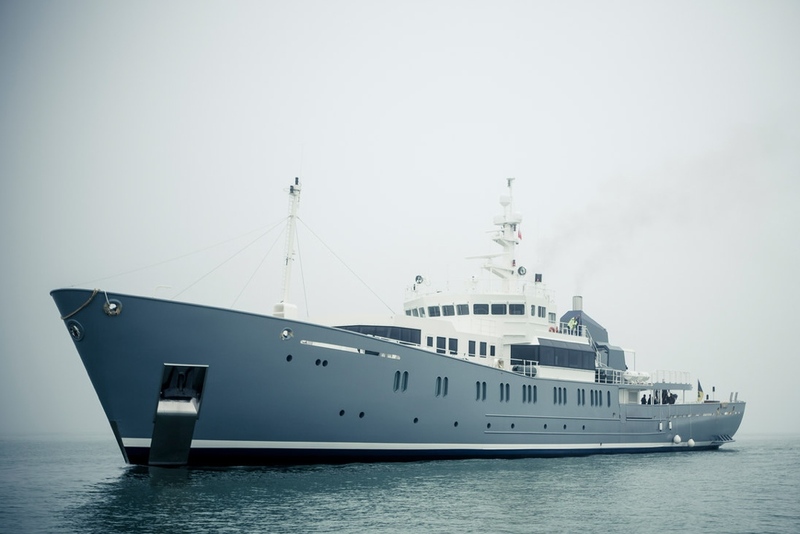 Rare among yachts her size, Asteria can easily handle a Bell 407 helicopter. 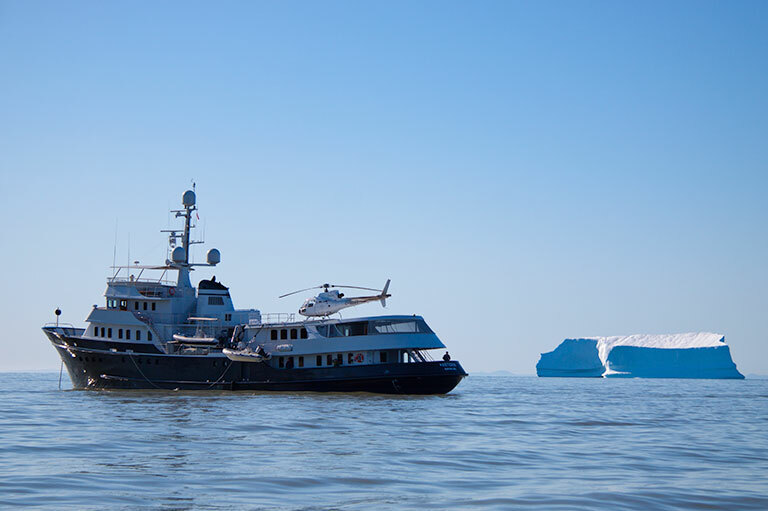 Flight-seeing over glaciers or reaching remote, inland hikes accessible only by air add another dimension for the ultimate expedition. 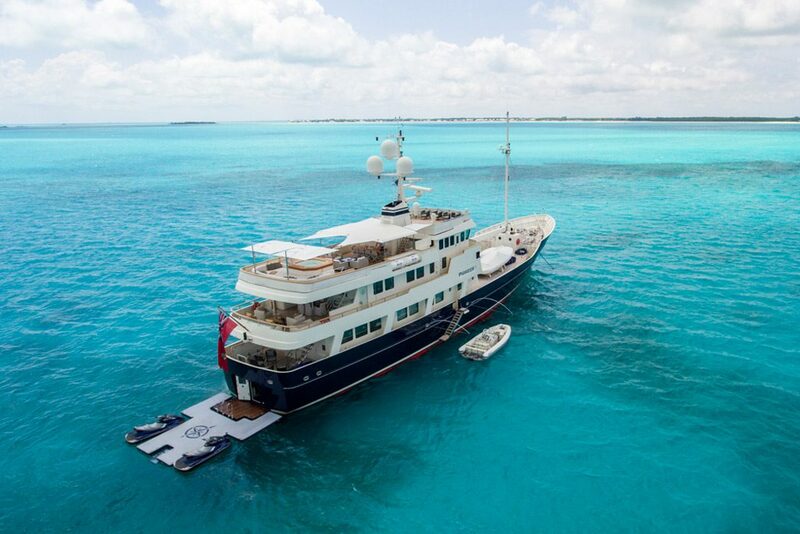 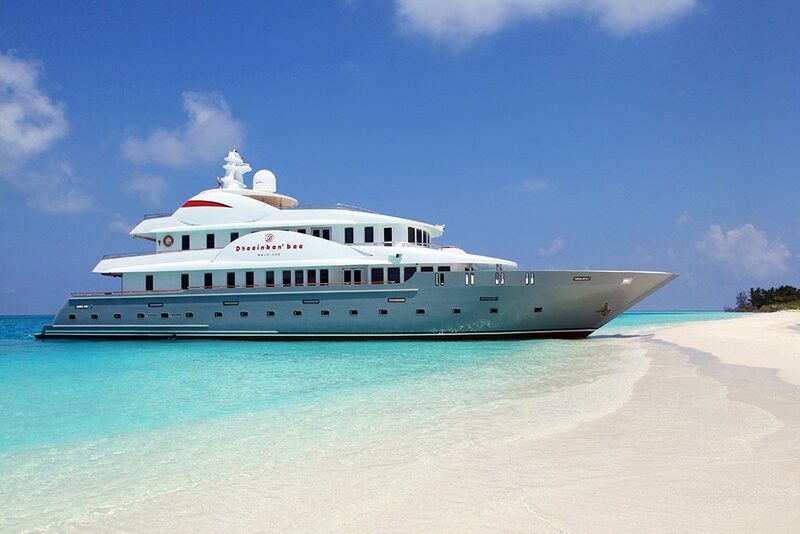 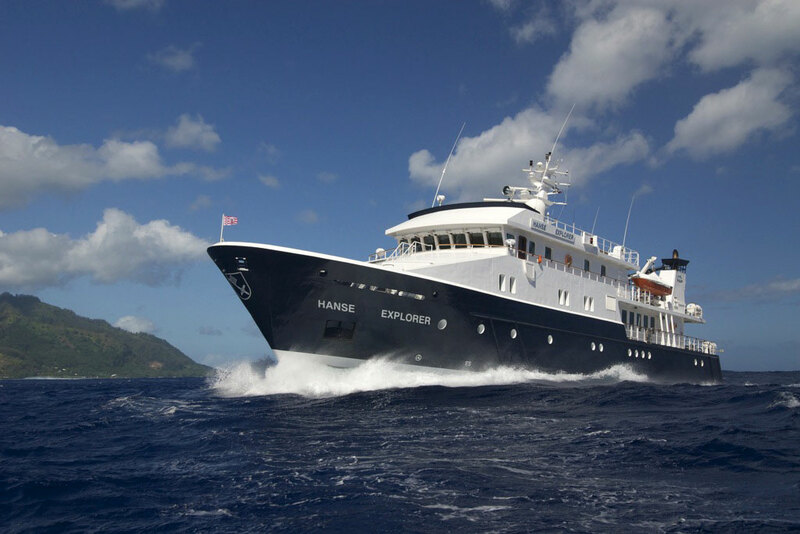 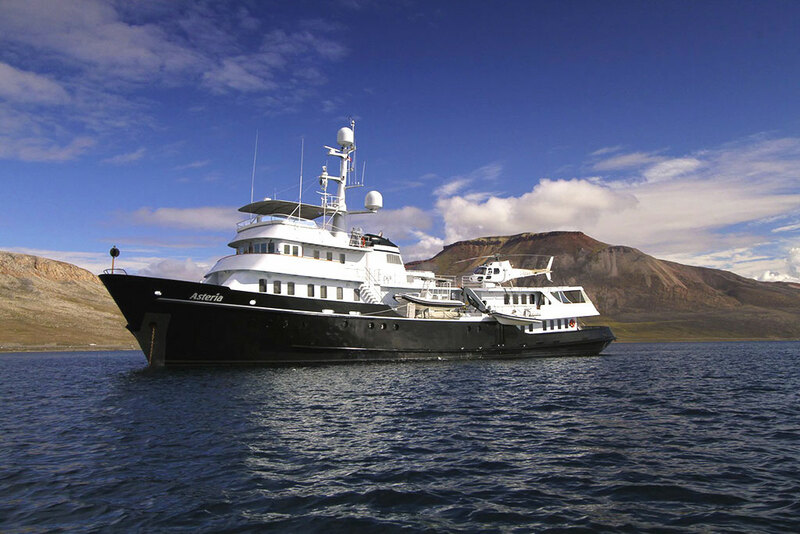 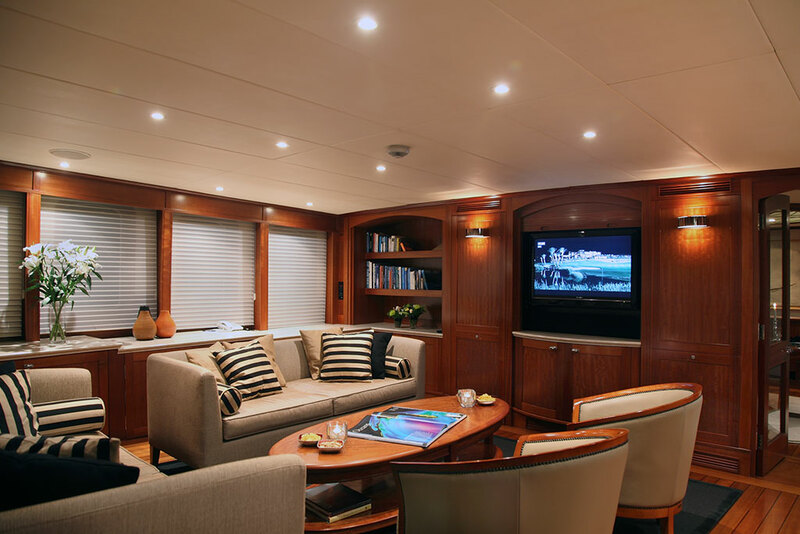 Up to 12 guests can enjoy Asteria’s comforts, and the master suite has a bath tub and separate shower. 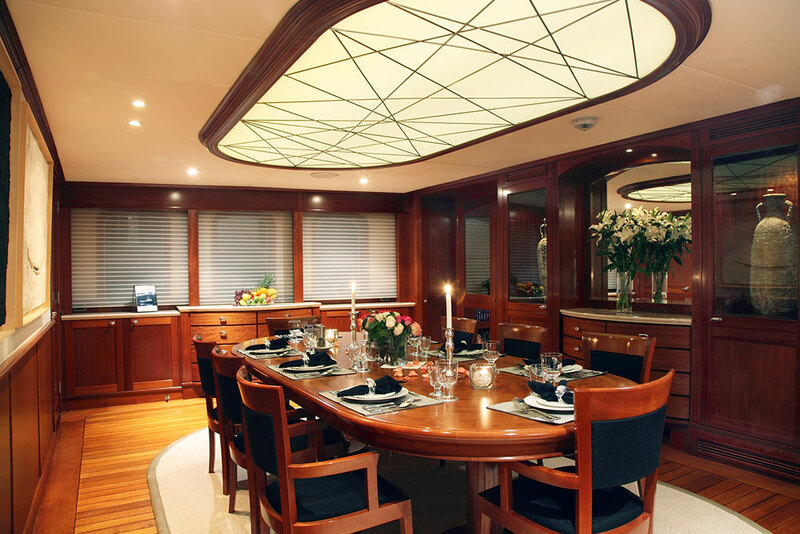 Above the classically elegant dining room and salon, a large lounge opens onto a secluded covered deck for outdoor dining. 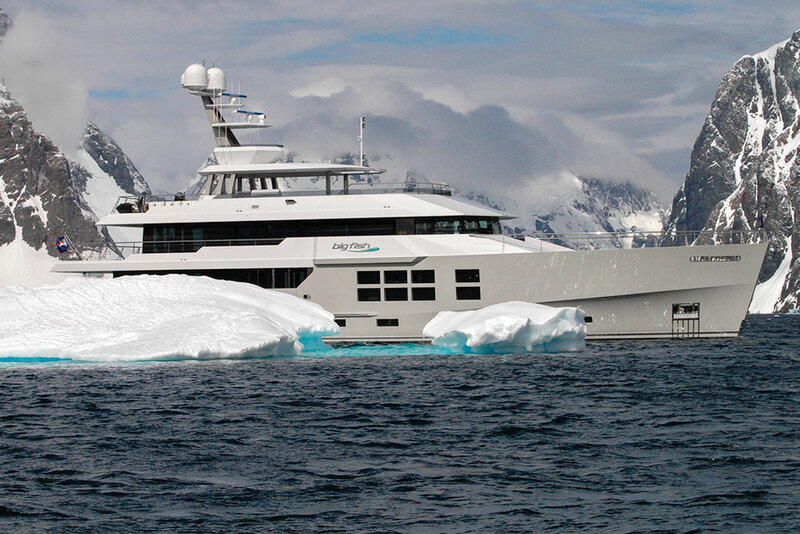 Further aft, a semi-enclosed, full-width nook provides sweeping vantages of passing icebergs or nearby whales even in inclement weather. 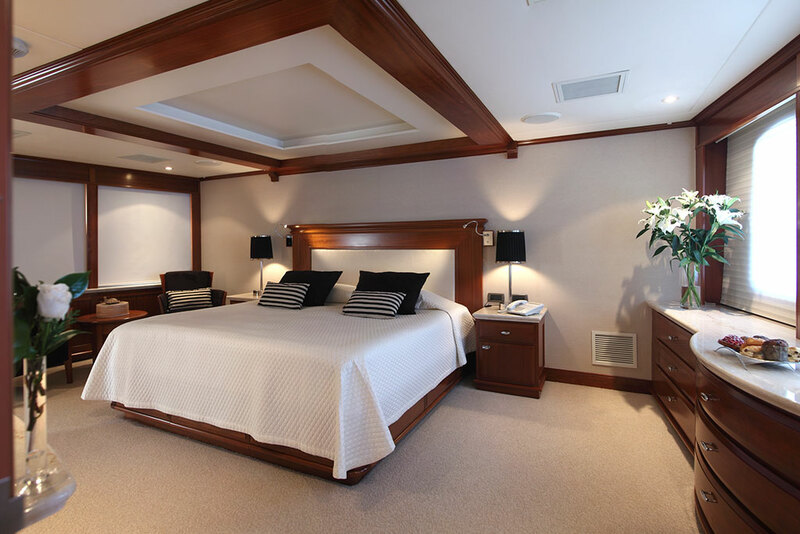 Above the bridge, a large sun deck with settee offers 360-degree views and a Jacuzzi. 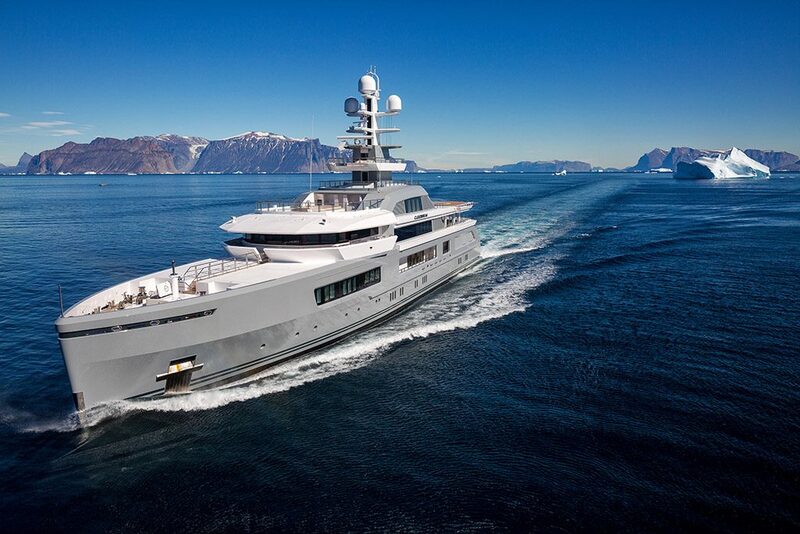 Zero speed stabilizers reduce the yacht’s motion and three tenders can be used for scuba diving, fishing, waterskiing and wakeboarding.